DAX, originating in Power Pivot, shares many functions with Excel. As of 2017, some of the functions, such as SLOPE and INTERCEPT, exist in the latter but not in the former. The two functions can be used for a simple linear regression analysis, and in this article I am sharing patterns to easily replicate them in DAX. But first, why would you want to do such analysis? Update 2 December 2017: the sales example was updated to display the correct Estimated Sales figure at the grand total level. How can I use simple linear regression? 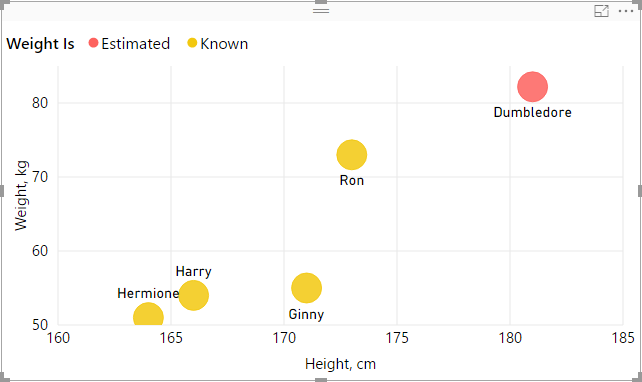 Note how Dumbledore’s weight is unknown — we are going to predict it with simple linear regression. 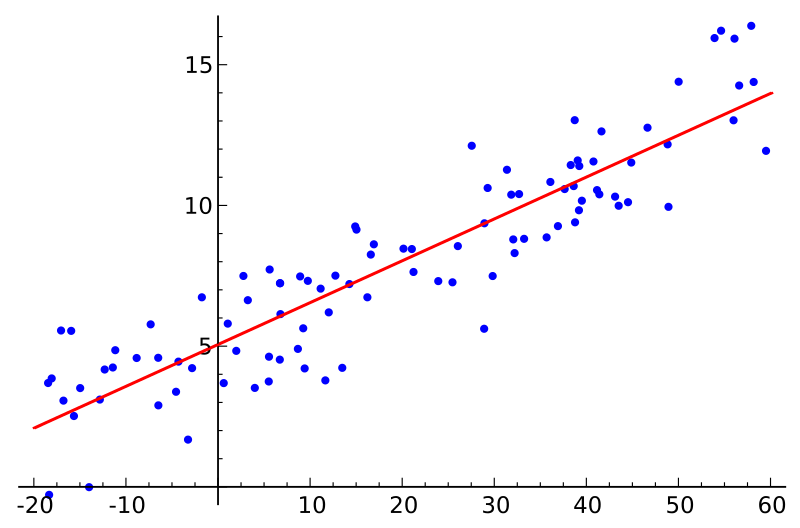 Linear regression has been done in DAX before (by Rob Collie and Greg Deckler, for instance), but my approach uses the new DAX syntax, which makes the calculations very easy. Note how we show known weight values when weight is known, but we display estimated weight in case where weight is not known. Note that to display the correct amount at the grand total level, you also need to modify the RETURN expression. In case of sales, it is appropriate to use SUMX; if you deal with temperatures, for example, you will probably use AVERAGEX. If you think this pattern is useful, please give kudos to it in the Quick Measures Gallery. wow, this is brilliant !!!! Great job with combining all the variables in one measure! I have a question though – what if i want to show Sales Estimate on a different value then Date. Instead of ‘date’ values I added ‘Date'[Month Name] but got an error, that SUMX cannot work with ‘string’ values. I did try using numeric values from ‘Date’ table (like month number & relative month) – these work well, but on the visual I’d like to show [Month Name] – unfortunately it does not calculate correctly if i use y-axis as something different then the column selection I have made in the measure. 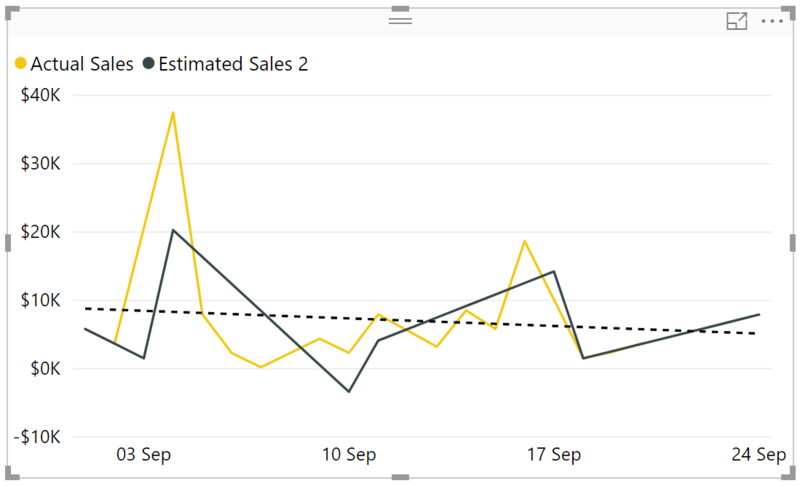 Anyway my goal is to show sales per customer for the past selected period (usually rolling 12 months) and then give an indication if sales trend is going up or down based on the ‘slope’ variable. But I also want to show the actual trend line on the visual using a user friendly format (January 2018). You just need to make sure that the sorting column consists of sequential numbers. By that I mean it is “year * 12 + month”, not “year * 100 + month”. I did try using ‘relative month’ (Current month = 0, previous month = -1 etc) field from my date table, but that did not work out that well – so yes I created month sequence in my date table. I ended up multiplying my sales slopes with sales amount in order to also take account the magnitude of change in trend. From that number I created dynamic segments – aggressive/moderate/flat/declining etc. The outcome is quite interesting – possible to filter customers according to their past sales trend. Not completely sure how my data holds up to being evaluated on a linear trend – daily sales are fluctuating a lot, monthly looks better in this case. Thanks again for your help! I really like your blog posts! Aitäh for your feedback, Rainar! Thanks for the post. It is really very helpful. But, I wanted to know if it is possible to have this regression line for separate time frames. Say, a regression line from 3rd sep to 10th sep. another regression line from 10th sep to 17th Sep.. 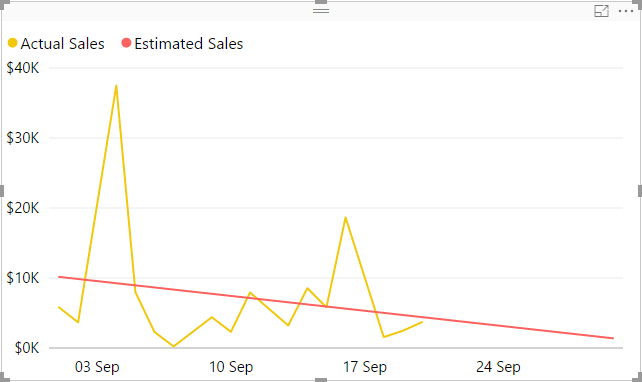 I wanted to show trends for each time-frame in my chart in power BI, wanted to know if that is achievable?